Micro-CT uses a technique similar to X-ray tomography used in medicine (CT Scans) but with much finer resolution. Multiple 2D X-ray images are stored while either the sample or the source/detector pair is rotated. The slices can be viewed and analyzed on their own, or stacked to recreate the 3D structure of the original specimen. The process is nondestructive and typically does not require special preparation of the specimen. The modern technology allows evolution (4D = 3D-spatial + 1D-temporal) studies to examine the effects of loading, temperature fluctuations, fluid injection, and capture and subsequently analyze a series of transient 3D maps. A National Science Foundation (NSF) Major Research Instrumentation (MRI) award (ID 1429252) was granted to UVM to acquire the Bruker Skyscan 1173 micro-CT. 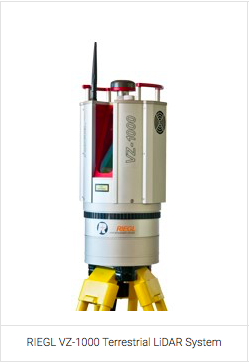 The equipment uses a 5 Mp (2,240 x 2,240 pixels) X-ray camera and 130 kV source. Specimens as big as 140 mm wide and 140 mm high can be scanned. A maximum resolution of 6 microns can be achieved depending on the specimen size. The advanced visualization software allows particular density ranges in a sample to be highlighted or hidden, spinning, and slicing to view internal structures; movies can be made of all these operations to enhance dissemination of the results. Both the imaging and analysis are non-destructive, making this technique more attractive than some other conventional (and destructive) tests. We have established a nominal fee structure to cover supplies, maintenance and operation costs associated with the micro-CT; however, some research collaboration opportunities also exist. Depending on the requested resolution, scans can be completed in under an hour, but the highest resolution scans can take up to 10-12 hours. Please contact Dr. Mandar Dewoolkar (mdewoolk@uvm.edu) with questions. As imaging technologies have developed, scientists and engineers have leveraged these advances to “remotely sense” the environments in which we live and to complement and/or replace in situ measurements of the same. Beginning perhaps with landscape photography, remote sensing has evolved to include sonar, radar, radiometry and most recently LiDAR (light detection and ranging). LiDAR systems were initially very large and implemented for defense related purposes (e.g., airborne terrestrial mapping). The advent of lower-cost and more compact/portable designs has enabled the recent introduction of terrestrial LiDAR systems (TLS). A National Science Foundation (NSF) Major Research Instrumentation (MRI) award was granted to the University of Vermont (UVM) in 2012 to purchase a TLS (left image). This TLS can rapidly produce 3D digital datasets of environments, be they natural or built. These datasets can then be integrated with other data on the environment. For example, a LiDAR scan can be added as a GIS layer along with maps, photography, census data, etc. to better understand land use changes. At UVM, the TLS has been utilized for a variety of research projects. One example is capturing physical representations of historical structures, such as at UVM (right image), for which architectural plans may no longer exist. The TLS has also been used to scan natural environments over the course of a winter to better understand snowpack evolution through a season. Such data can inform water resource managers as to spring runoff conditions. The TLS has been employed to quantify the effects of streambank erosion to better understand sediment and pollutant transport downstream. Entities can leverage UVM’s TLS on a fee for service basis. Based on our experience, most scanning (including setup and teardown) can be completed in 3 hours. Additional hours are required to process the data. The nominal all-inclusive fee is $1895 to create 3D, point cloud data sets for the customer. Additional processing (e.g., to determine cut volume or other quantitative measures) would incur additional fees. For more information, please contact Dr. Jeff Frolik (jfrolik@uvm.edu).